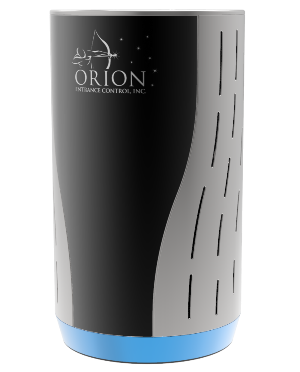 by Brianna Crandall — April 12, 2019 — US-based global provider of optical turnstile solutions Orion Entrance Control has just announced the new design and functionality of the Orion Secure DoorGuard, a high-accuracy tailgate detection system using solid-state LiDAR technology, on exhibit this week at ISC West. The distinctive architecture includes fully integrated housing and mounting systems, developed to provide extremely easy access for installation, upgrades and maintenance. LED indicators for status, alarms and verified access add to its sleek design and efficacy. This solid-state LiDAR technology allows us to provide a contemporary solution to the age-old security risk of tailgating. The universal compatibility with access control systems makes DoorGuard extremely versatile for both occupancy counting and tailgate detection, and when used in conjunction with Orion’s Infinity Remote Lane Control software and SpeedLane turnstile systems we provide a comprehensive entrance control solution. The high-performance, smart sensing system generates thousands of Time of Flight (TOF) distance points per second then utilizes this data to create machine learning algorithms specific for entry and security doors. The solution allows the detector to determine the difference between additional individuals vs. bags, strollers, etc. This solid-state sensor has no moving or vibrating parts and can be quickly programmed to adjust to doors of various sizes and heights. The benefits are a smaller sensor using lower power that is easy to use and install, says the company. The DoorGuard system addresses several shortcomings of previous solutions: accuracy, ease and cost of installation, durability and aesthetics. We know these improvements will be appreciated by end users and integrators alike, and we’ve also kept in mind the architect and consultant communities. Additional DoorGuard information can be found on the Orion website and in this YouTube video. Visit Orion Entrance Control this week (April 9-12, 2019) and see a demo of DoorGuard and other Orion technology and turnstile solutions at Booth 5065 at ISC West.